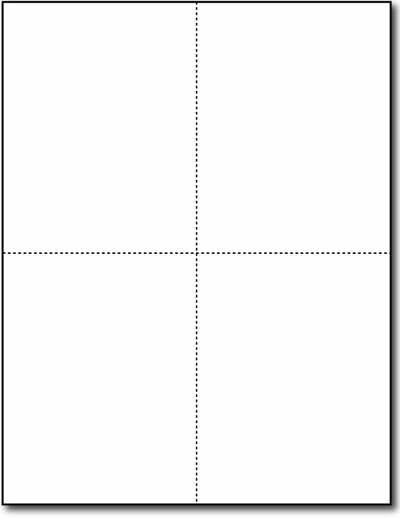 Our 4-up Linen White Postcards come on an 8 1/2" x 11" sheet and come 4 per page. Each postcard measures 5 1/2" X 4 1/4". It is recommended to use Inkjet printers because this paper may be too heavy for laser printers. These postcards are microperforated for easy breaking and cleaner edges. Made from 80lb Cover (216 gsm) white cardstock.